How do you make your wish list? Do you add a couple of things you really want and then throw in a couple of things you need as well? Most of us divvy up the list with a variety of big and small items that we want or need. At Mansouri Family Dental, we’d like to suggest that you should add a brilliantly straight smile to your wish list. Having aligned teeth can qualify as both a want and a need. 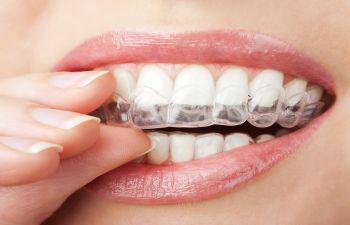 Invisalign is a revolutionary method that our expert team utilizes to align your teeth using clear aligner trays, so the process is virtually unnoticeable. Because you’re tired of avoiding selfies. Because you desire to stop using a closed-mouth smile. Because the gaps in your teeth seem to be what everyone stares at when they talk to you. Because your grandchildren ask you why your teeth are so crooked. Because you’re ready to ask that special someone out on a date, but you’re too embarrassed to expose your teeth. Because misaligned teeth can lead to malocclusion. Because aligned teeth are easier to clean. Because your gapped teeth may lead to sore, swollen or tender gums. Because over or under bites can lead to premature wear, trauma or bone or tooth loss. Because your overall health is at risk. Why not add Invisalign to your dental wish list during this holiday season? Call and book your appointment with us at Mansouri Family Dental Care & Associates today.